As you know, the location of our SAUNA party in the spring was almost completely destroyed by a fire. 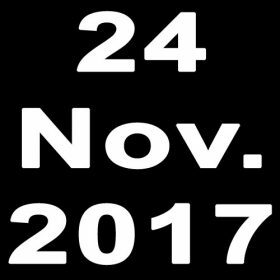 Therefore, we have to replace the SAUNA party on 24.11.2017 by a normal party. But this will take place in our NEW location !!! In fact, we are celebrating our 20th anniversary in 2018 and after our last location for the regular parties was often too small and we were unable to grant many guests access, we looked for and found a suitable NEW location. We have now for the normal party a much larger and much more central NEW location in West Berlin (3 major subway lines and various bus lines). Here you will find on one level darkroom, playgrounds, slings, cruising, a high-end toilet, showers (towels can be rented for a fee), a fully equipped bar, a modern ventilation system and much more ... let us surprise you !!! We hope to see you in person at our HOUSE-WARMING Party on 24th November 2017 in our NEW location !!! The XXL parties at Easter, Folsom and HustlaBall remain untouched.